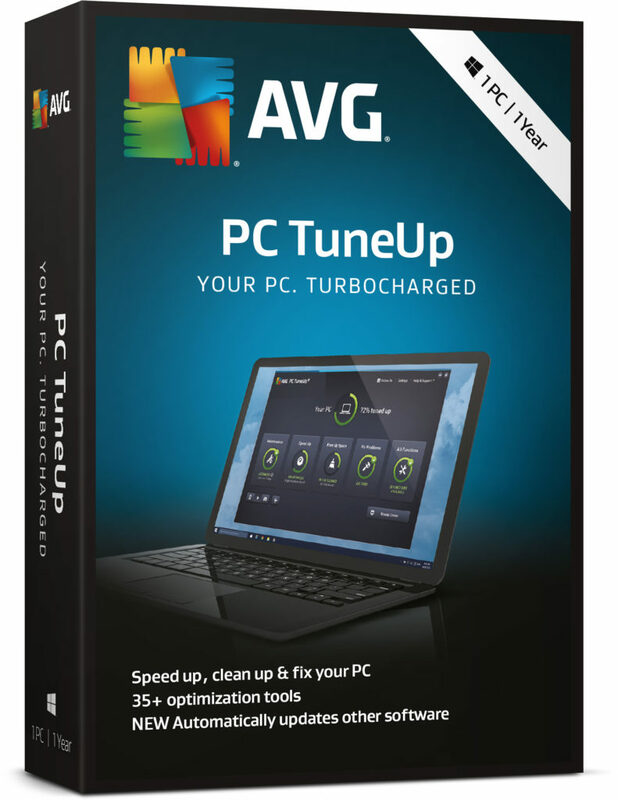 Our 2018 release of AVG TuneUp comes with a complete reboot of its patented ‘Programs-On-Demand’ technology. It puts draining programs into a smart Sleep Mode and reduces their impact on PC performance, battery life, network and storage to nearly zero. Stops small issues from becoming real problems: Our new Fix Problems center is a 24/7 mechanic for your PC. It helps fix and prevent problems with Windows, your hard disk, your programs, and accidentally deleted files. When you’re gaming, smooth framerate (FPS) is what it’s all about. Use our 35+ power tools to help boost your games, from the casual puzzler to the blockbuster 3D shooter. Here’s what we achieved in our gaming tests. How much can you achieve? Turbo Mode: One click turns off over 70 unnecessary processes, releasing power for faster browsing, gaming and videos. Program Deactivator: Deactivates programs you never use to stop them draining processor speed without uninstalling them. Startup Optimizer: Jump starts your PC by identifying and recommending which unnecessary start up programs and services to switch off. Startup Manager: Identifies and rates all startup programs, so you can tell at a glance which are essential and which are just slowing you down. Drive Defrag: Reorganizes the files on your hard drive to reduce boot times. Disk Doctor: Crashes, hardware defects and power blackouts can lead to file system problems that prevent programs from starting. Disk Doctor helps prevent this problem by thoroughly checking files and fixing issues. Registry Defrag: Just like a hard drive, your registry ends up full of gaps as it grows and changes. Registry Defrag reorganizes your registry to speed performance and to remove problems accessing the database. IMPROVED Registry Cleaner: Helps stop system crashes and start up issues by deleting or repairing the redundant, orphaned or broken keys, pointers and entries that are cluttering your registry. IMPROVED Shortcut Cleaner: Helps you maintain a clean, uncluttered desktop by removing ‘dead’ shortcuts and empty folders on your desktop and start menu. Economy Mode: Significantly prolongs battery life by reducing the power consumption of the processor, switching off unnecessary background processes and reducing the power consumed by internal and external devices. Flight Mode: Save even more battery and comply with airline safety regulations by switching off Wi-Fi & Bluetooth® with a single click. Disk Space Explorer: Analyzes internal and external hard drives, finds the 100 largest files that are taking up disk space and lets you delete them. NEW Disk Cleaner: Frees disk space and speeds your PC by removing temporary files that clog your hard drive. Disk Cleaner can also clean iTunes® and apps from the Windows 8® store. NEW Duplicate Finder: Searches your hard drive and lets you delete any files which are identical, even if they have different filenames. NEW Browser Cleaner: Cleans old or broken data from your browser to free up disk space and help stop browser crashes. Works with over 25 of the most popular browsers, including Internet Explorer®, Firefox®, Chrome™ and Opera™. IMPROVED Live Optimization: Works silently in the background, constantly prioritizing all the applications and processes that are running to increase loading speed and PC performance. IMPROVED Automatic Cleaning Updates: Regular, automatic updates give you the latest ways to clean your computer. Updates will both clean more programs and improve cleaning techniques. Automatic Start-Stop Mode: Allows any programs that you have deactivated with Program Deactivator to be reactivated in a single click. When you have finished using them, they are automatically deactivated again, minimizing the drain on your processor power. Shredder: Normal deletion doesn’t always remove all the data. Shredder frees space and deletes data securely; using processes that guarantee it can never be accessed by someone else. Automatic Maintenance: Automatically performs routine maintenance when you’re not using your PC, including defragmenting your hard drive and registry, mending broken files, removing broken shortcuts and more. One Click Maintenance: Saves time by performing dozens of tune up steps simultaneously, without getting in your way. Optimization status: Continuously monitors your PC’s health to provide an up-to-date checklist of performance boosting steps. The easiest way to keep track of your tune-up status. Undelete: Prevents data loss by restoring previously deleted files – even after you’ve emptied your Recycle Bin. Process manager: Allows you to see all the processes running on your PC, so you can easily identify and eliminate resource hungry processes. Rescue Center: A single, easy-to-use interface to help you revert back to your previous settings. Registry Editor: With an easy-to-use search function, Registry Editor makes editing permissions simple and fool proof. Styler: Makes it quick and easy to personalize your PC. Mix and match from thousands of fresh new designs to give Windows® a look that’s unique to you. IMPROVED User Interface: We’ve improved the User Interface to make it easier to understand and use. Now the key optimization steps stand out much more than before, so it’s easier to make improvements. IMPROVED Settings Center: Takes the hassle out of optimization by bringing all your most important settings together in one easy-to-use window. We’ve improved our Settings Center to make easier to spot key optimization steps. Performance Report: Delivers easy to follow, personalized recommendations for increased PC performance. Program Ratings: Automatically identifies which resource intensive programs are worthwhile and which are not using a simple star rating system. Also includes user community recommendations to help you make informed performance boosting decisions. System Info: Tracks down vulnerabilities and errors to help you unlock your PC’s full potential. Isolate and neutralize memory, CPU and network intensive processes with just a few clicks for optimum performance. Easy Interface: Our new improved interface is designed to make AVG the easiest possible protection – all part of our promise to give you great products that ask less of you. Fully compatible with Windows® 8. Chrome® is a registered trademark of Google. Inc registered in the U.S. and other countries. Firefox is a registered trademark of the Mozilla.